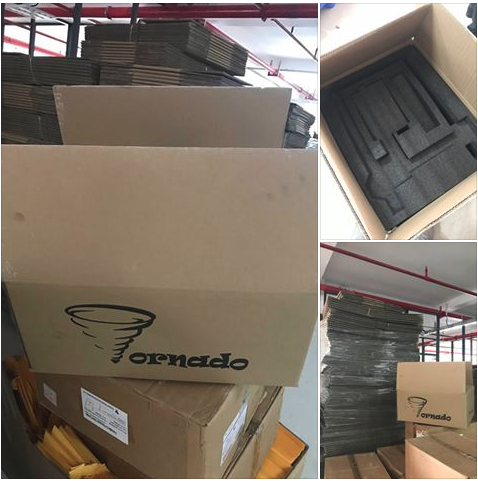 Tevo has released a new printer on the market, called the Tevo Tornado, and it is now shipping!. For less than $399.99 you get a large build volume cartesian printer with a build size of 300 mm x 300mm x 400 mm. This gives us the same build volume as a CR-10. It comes with the Tevo Titan Extruder out of the box plus comes 90% prebuilt. Like the Tarantula, you can upgrade the printer as well. You can easily add auto leveling with a BL Touch, dual Extruder, a laser and more. There is a Facebook Group to discuss all things Tornado as well. 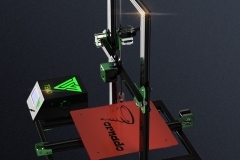 I’ll update this spot as we see more information as well as Tevo Tornado Reviews and CR-10 comparisons (which I know a large number of people are interested in). 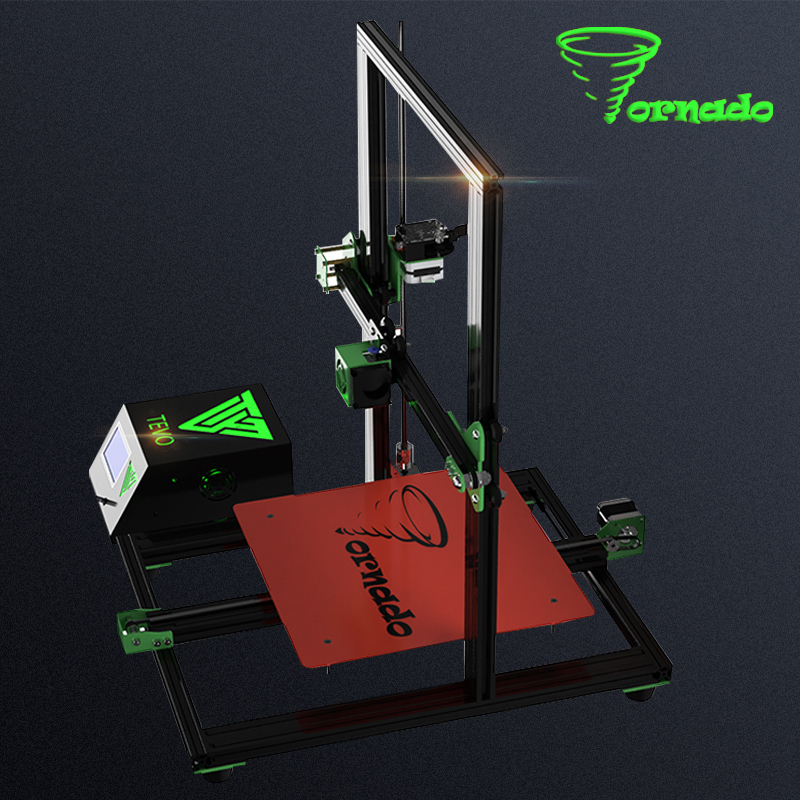 Order the Tevo Tornado through the Official Tevo Store. 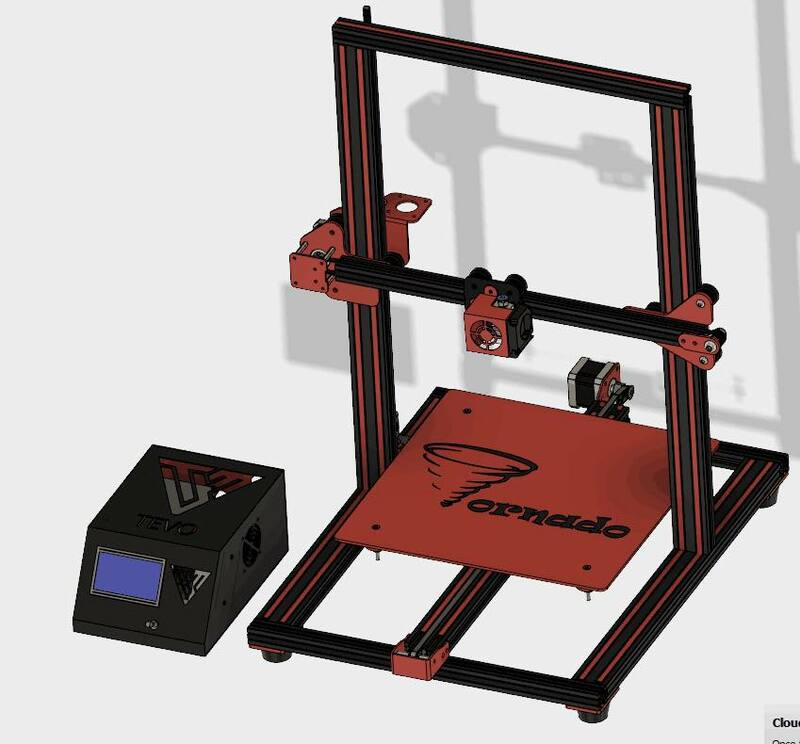 If you are looking to upgrade and tune your Tevo Tornado, you will want to check out this page to get the most out of your 3D Printer. (11/26/2017) Tevo Tornado Preview from Makerfun 3D. I’ll be doing a full review and a Tornado vs Cr10 review in the coming weeks. 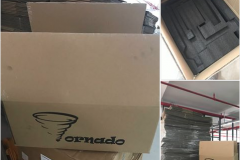 (11/26/2017) Tornado Preview Video from Inov3D 3D Printing. Has some prints done on it, and some upgrades for it. Check this video out it covers several 3D printed models giving you an idea about what this printer is capable of… and Harley Quinn. 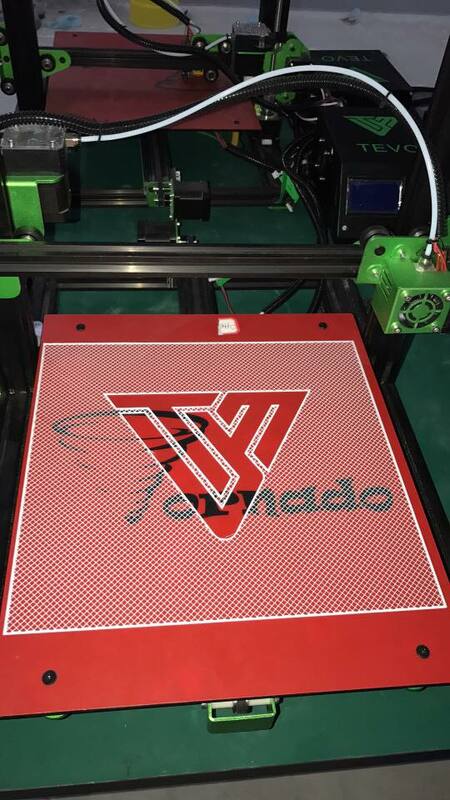 (11/9/2017) Here is a good review of the Tevo Tornado by 3D Maker Noob. This is one of the people I like to watch and find his reviews trustworthy. 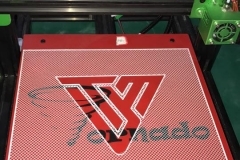 He also goes into a comparison between the Tevo Tornado and CR-10 printer. It seems the Tornado edges out the CR-10 slightly because of price and that the Tornado has done some iterative upgrades that the CR-10 3D Printer needs. So in this Tevo Tornado vs CR10 showdown, the Tornado edges out the CR10. (11/2/2017) Make anything has a video review of the Tevo Tornado. He scores it just slightly under the CR10, but very similar. It sounds like adding a glass plate fixes his biggest issue, and brings it up to par of the CR10. (10/11/2017) Here is an interesting video that Rui Raptor released. “How much power does a 3D Printer consume?” That is the simple premise of his latest video. He goes through 5 Printers. A Tevo Tarantula with a small, insulated bed. A Tevo Tarantula with a large Bed, A Tronxy X8, A Tevo Black Widow with insulated bed, and finally, the Tevo Tornado with an insulated bed. 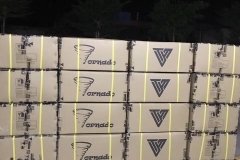 Once again, this video shows how good of a job that Tevo has done with the Tornado. (10/1/2017) The first in-depth review of the Tevo Tarantula by Rui Raptor. Very positive review for this new printer. It really does look like there has finally been a new, low-cost printer that beats the CR-10. This really sounds like a great review for the printer. If you are curious about this printer, check out this review by Rui Raptor. (9/30/2017) An unboxing and first impressions by The Hot End. They give it a quickie review, talking about how good it prints out of the box and had some good comments about the quality of the parts. They will be getting a full review video done after they have put the printer through its paces, about a month from now. The preliminary comments are very positive, though. They ask if this is the “First Actual CR-10 Killer?” I am looking forward to their final review. (9/19/2017) Here is what a lot of people have been looking for. Tevo Tornado vs CR-10. This is a pretty good review of the performance differences between the CR-10 and Tevo Tornado. 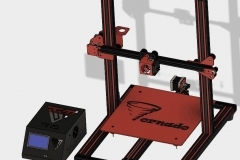 The Tornado really showed itself as an extremely capable printer in this head to head test. (9/3/2017) Wow, look at ALL of those printers that are ready to go! They are doing everything they can to get the backorders out and get these new 3D printers in customer’s hands. (9/1/2017) This morning, Qianmin Tan issued an apology for the length of time it has taken to get the Tornados out the door. 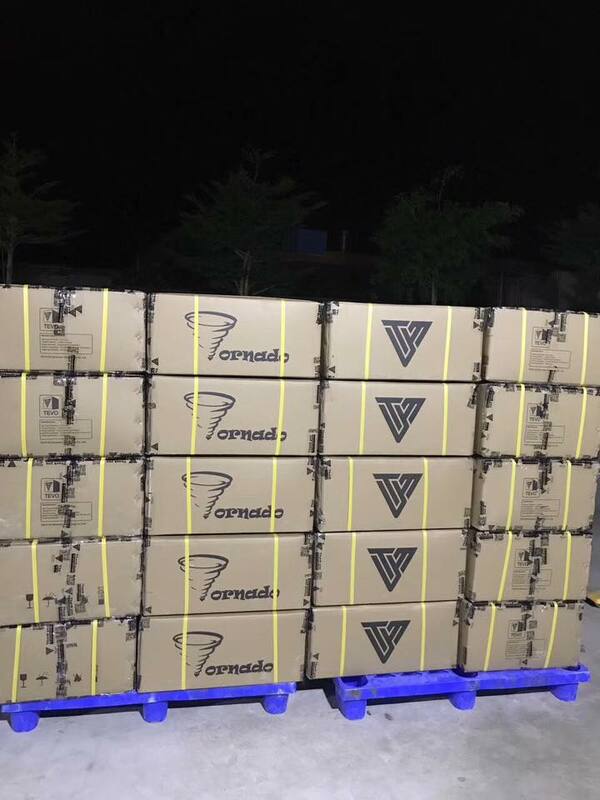 They have shipped 200 printers so far, and are working overtime to get the rest shipped. This is their first real foray into the pre-assembly market and there have been some hiccups along the way. It sounds like the major bugs in the shipping process have been ironed out and they are ramping up shipping.